It is normal to feel underprepared or completely overwhelmed when walking into an important job interview. You start worrying about whether your resume is good enough, and what happens if the interviewer fires questions your way that you have no idea how to answer? Whatever you do, just stay calm. Staying calm, cool and collected will benefit you in more ways than one. Your calmness directly reflects on your personal confidence within the workplace, and the more confidence you have the more likely you are to land the job. Following this rule of staying calm and confident is even more important if your interview is conducted over the phone. The interviewer won’t actually be able to see you, so you’ll need to win their approval over the phone. 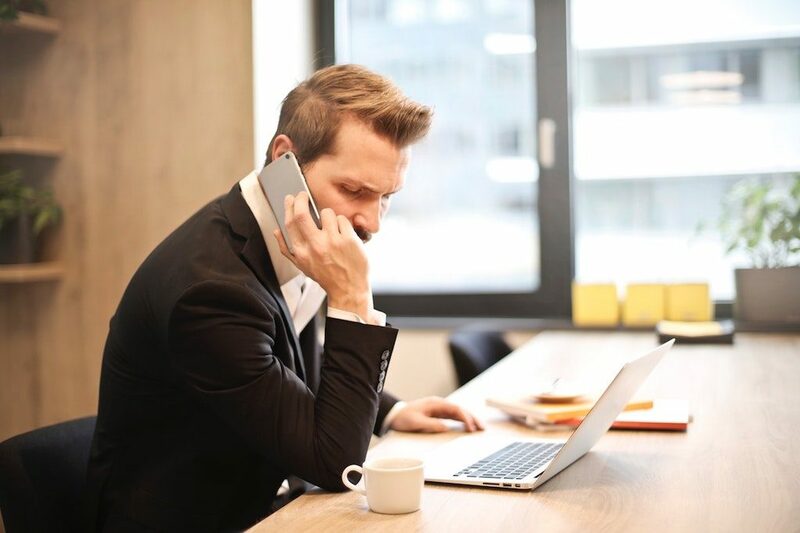 In order to do that, here are several phone interview tips to help you land your dream job (or at least get a follow-up interview). This is an essential aspect of any phone interview. Ideally you could have a nice chat within the comforts of your quiet home, but sometimes this just doesn’t work. It might not feel like the most productive spot to conduct the interview if you have barking dogs, loud neighbors, or kids running around. Some people think that it is a good idea to sit in their favorite coffee shop for a phone interview. Just remember though that the sound of people coming and going, the noise from the espresso machine, and the ding of the cash register will be extremely distracting. Find somewhere quiet with no distractions whatsoever where you feel comfortable discussing your skills and qualifications. Maybe you’re confused…isn’t it a phone interview? Can’t you just lounge around unshowered in your pajamas since the interviewer won’t actually see you? Technically yes, you could. But the best way to nail it is to dress the part, or at least put on a pair of clean pants. Never answer the phone for an interview without preparing beforehand. For every phone interview you will be given a specific time, just like any official meeting. Give yourself one full hour to get everything together before it starts. You’ll need your resume, list of references, a copy of the job description, a pen and paper, and anything else you might see fit. This goes for both in-person interviews and ones that are conducted over the phone. Whatever you do, don’t assume that there is no need to practice and you’ve already got it in the bag. Always prepare for questions that are likely to be asked by writing your answers out – preferably in bullet point format. You have a huge advantage with phone interviews since you can literally keep all of your cheat sheets write in front of you. Write clearly and concisely so that you can easily refer to your notes for each interview question.